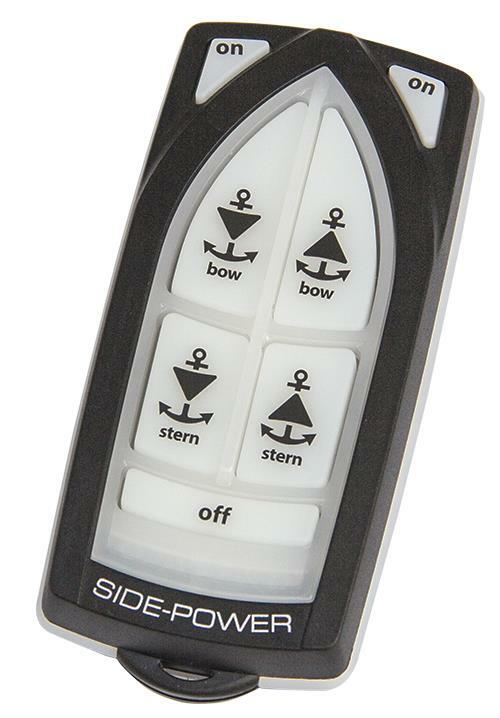 The new Side-Power Designer Radio Remote Control is the coolest addition to thruster controls. This is a plug and play addition to any existing Side-Power Thruster system allowing more functional use of the equipment. The hardware and software of the former RC-1 models have now been totally re-designed. All models are now operating on the 868Mhz band with a new communication protocol, designed to better withstand external interference.